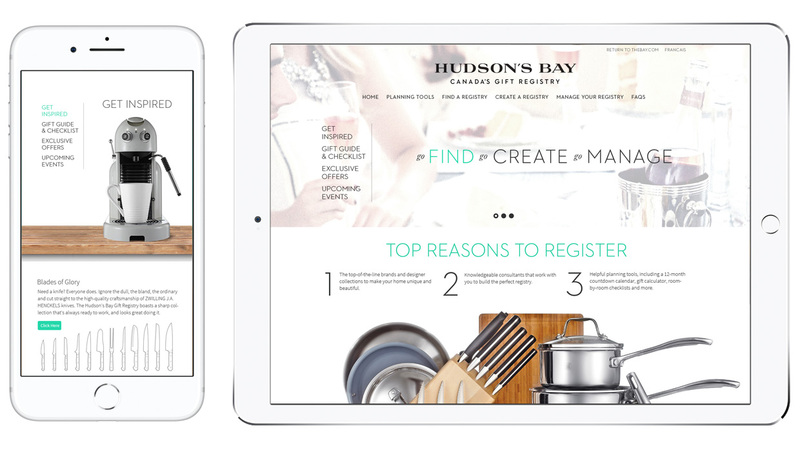 The Gift Registry division is one of Hudson's Bay's most popular and profitable divisions. 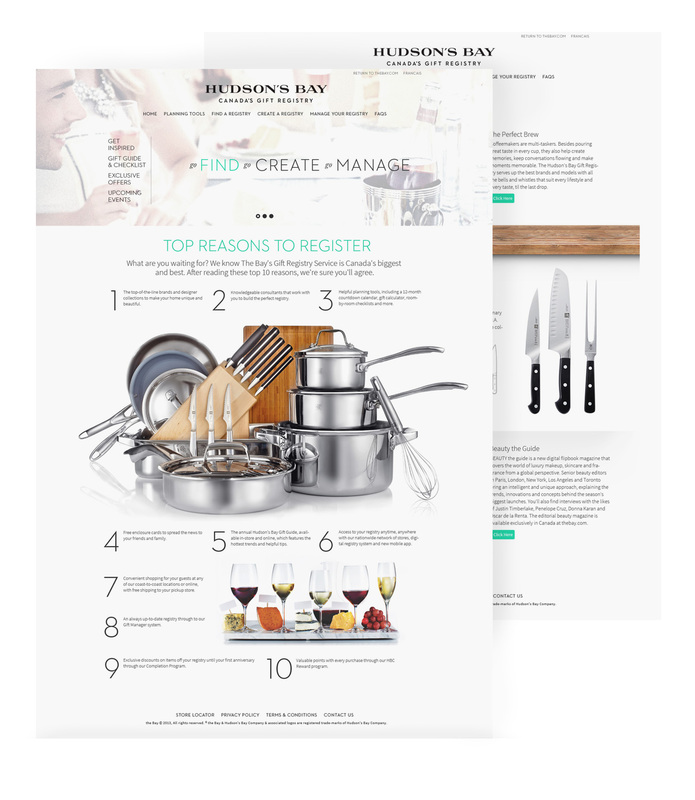 They were in need of a total re-design of their online site which brought in over 50,000 visitors a day. The site acted as a base platform for users to register there wedding and pick all the gifts they wanted to add to there list. 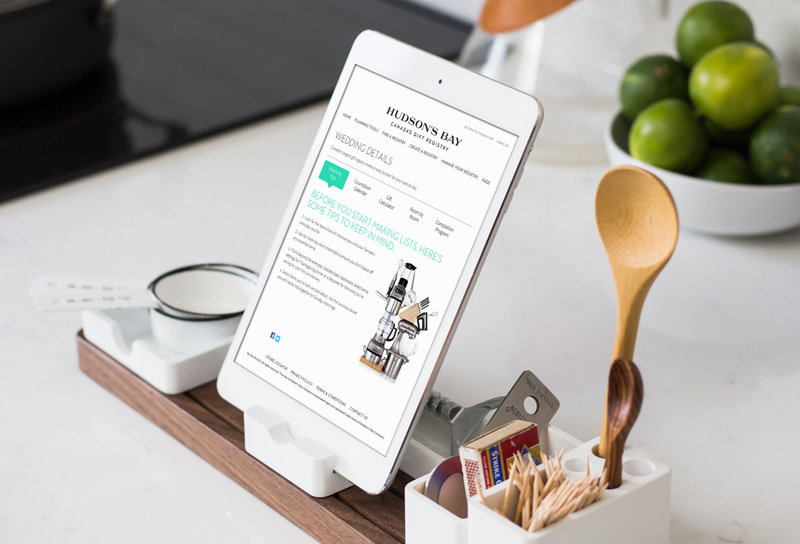 The design approach was simple, to keep the site fresh and clean and showcase their wonderful product photography. The sites framework was designed to be completely adaptable using a responsive layout so that it would work and be flexable on multiple devices.